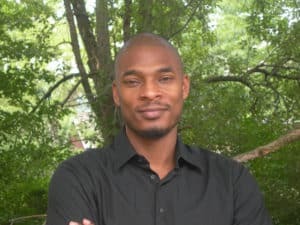 Franklin College will welcome Terrance Hayes, an English professor at the University of Pittsburgh and distinguished American poet, to campus on Thursday, March 7, as part of both its Power of Diversity Lecture Series and Creative Writing Reading Series. His lecture and reading, “An Evening with Terrance Hayes,” will take place at 7 p.m. in the Branigin Room of the Napolitan Student Center. The event is free and open to the public. Hayes is the author of the poetry collections How to be Drawn, Lighthead, which received the 2010 National Book Award for Poetry, and most recently American Sonnets for My Past and Future Assassins, which was nominated for the National Book Award on Sept. 14. Hayes lives in Pittsburgh with his wife and children. This lecture is possible through a grant from Indiana Humanities in cooperation with the National Endowment for the Humanities. The college’s Power of Diversity Lecture Series is presented by the Franklin College Center for Diversity and Inclusion and was established in 2017 by the office of the president. The 2018-19 series includes four programs hosted by local and national diversity advocates who aim to inspire campus dialogue, community engagement and civic education. This is the third program in the series. For additional information, please email diversity@FranklinCollege.edu or call the Franklin College Office of Communications at (317) 738-8185.